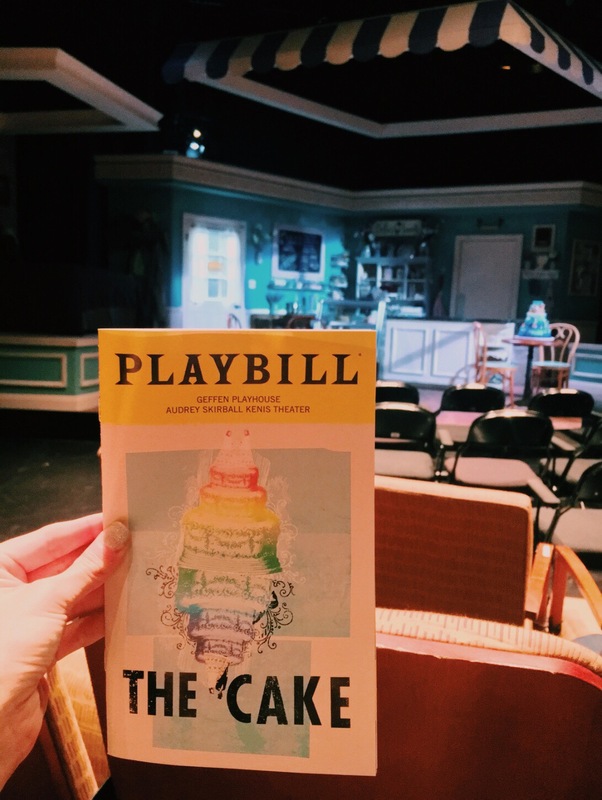 I don’t even know where to begin…..my emotions from last nights performance of THE CAKE written by Bekah Brunstetter (writer & producer from the critically acclaimed show This is Us) should have been a clue that this play was going to take me on an emotional roller-coaster. I don’t want to give away the story in detail because it takes away from really experiencing it when you’re in the theatre, so I’ll just leave you with the brief synopsis: When Della (Debra Jo Rupp), a North Carolina Baker and devout Christian, is asked to bake a wedding cake for her best friend’s daughter, she is overjoyed. But that joy is short-lived when she learns that the intended is another bride and realizes she is faced with an agonizing choice between faith and family. Struggling to reconcile her deeply-held belief in “traditional marriage” and the love she has for the woman she helped raise, Della finds herself in strange new territory. 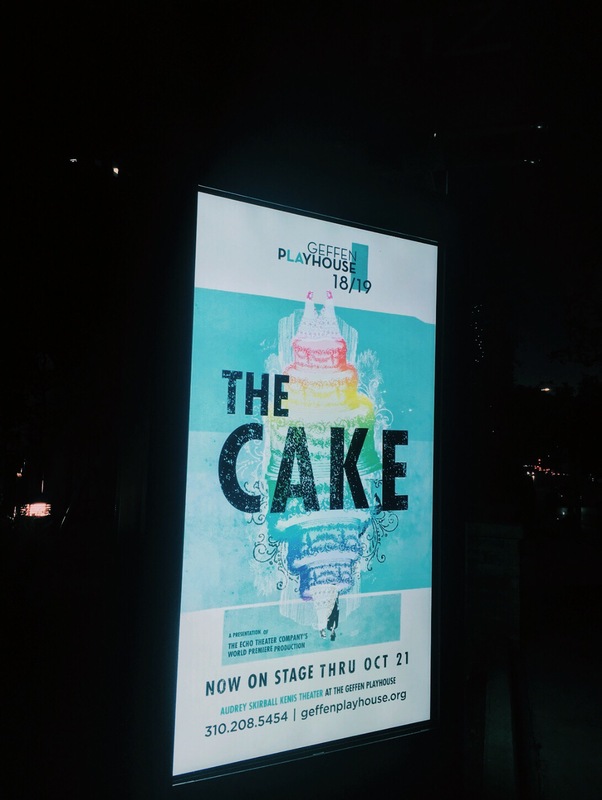 Inspired by a story still in the headlines, this marvelously funny new play by Bekah Brunstetter (This is Us, Switched at Birth), directed by Jennifer Chambers, is proof that love is the key ingredient in creating common ground. 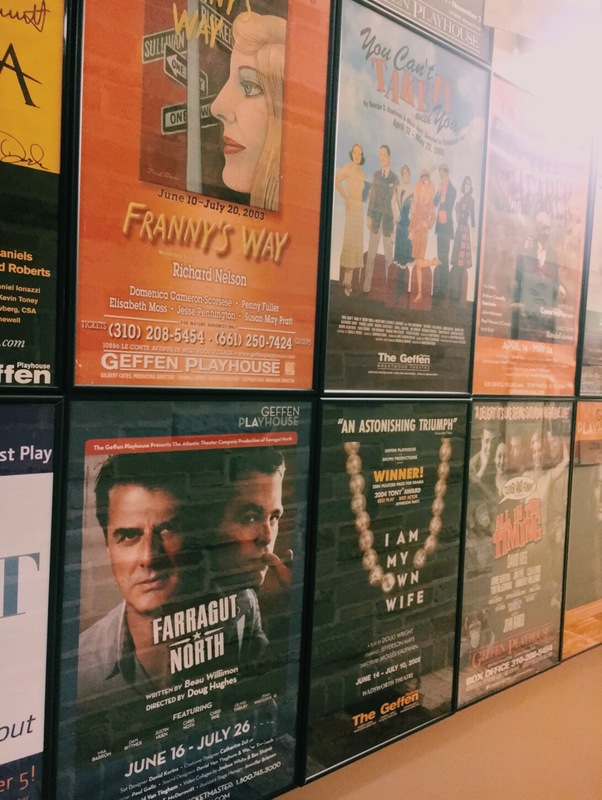 Don’t let the “funny play” fool you because I guarantee you will be shedding some tears too… a lot of them. 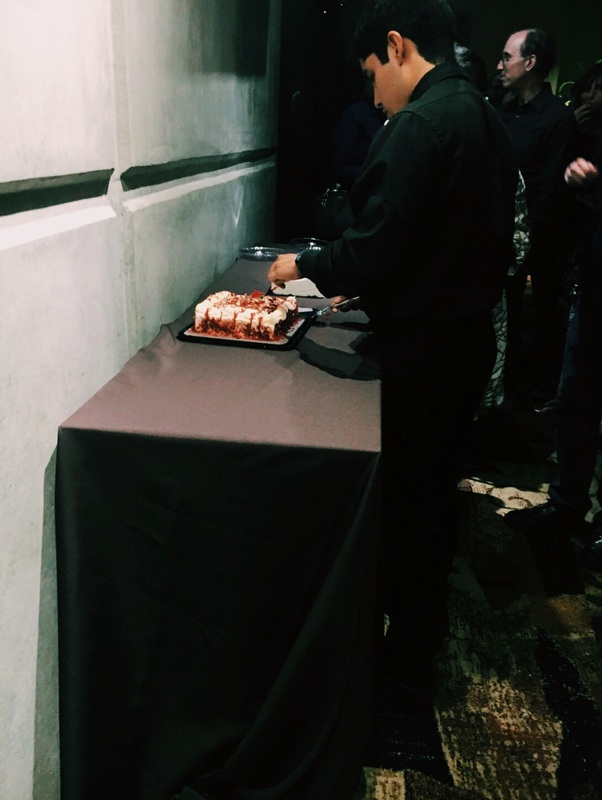 The Cake is beautifully written, Bekah Brunstetter did a great job at creating strong lovable characters that we sympathized with no matter if we agreed with what they were saying…we got it. Bekah found a way to honestly tell this story, she showed it all; the good & bad thoughts we all have. No sugar coating anything but the rawness is what I think made this play so special. The small size of theatre made it more intimate where I truly felt like a fly on the wall. The sets were minimal but perfectly placed. Loved the lightening added to the set pieces. Now lets talk about the acting….. OH MY GOSH….. seriously….. as I’m writing this I am getting emotional because I seriously got to witness some of the best live acting I have ever, ever seen. I am not exaggerating. As an acting teacher my main thing I work on is being an active listener and being in the moment and all these actors did that. They made me completely forget I was watching a play at all, I was just watching human beings tell a real story and express themselves. 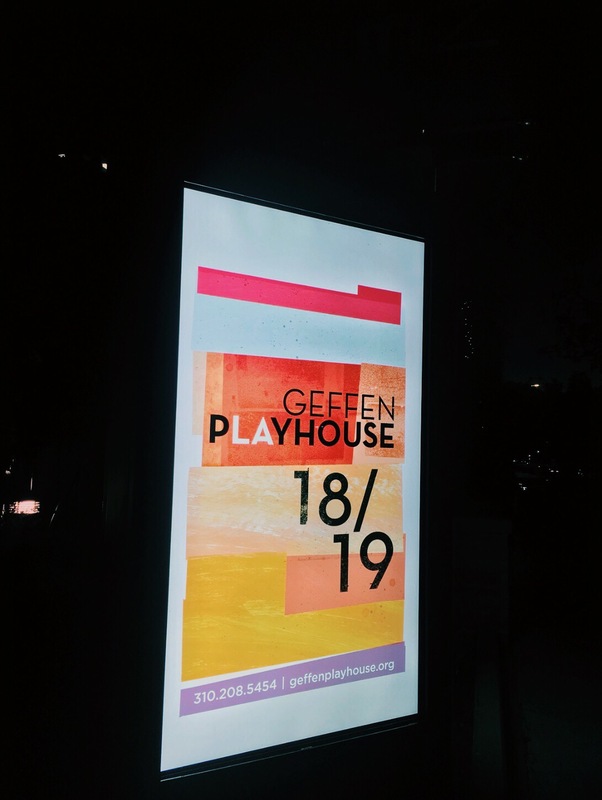 At the Geffen Playhouse you are watching the best of the best. So many recognizable faces in this play which I love because that tells me that no matter if they are on a huge television show or movie, these actors take the time to do theatre. All actors should do theatre because it is not easy getting it right the first time. Only the really talented actors do theatre. I can go on and on about how wonderful this show is but I will leave you with some info on how you can purchase tickets because you need to go. 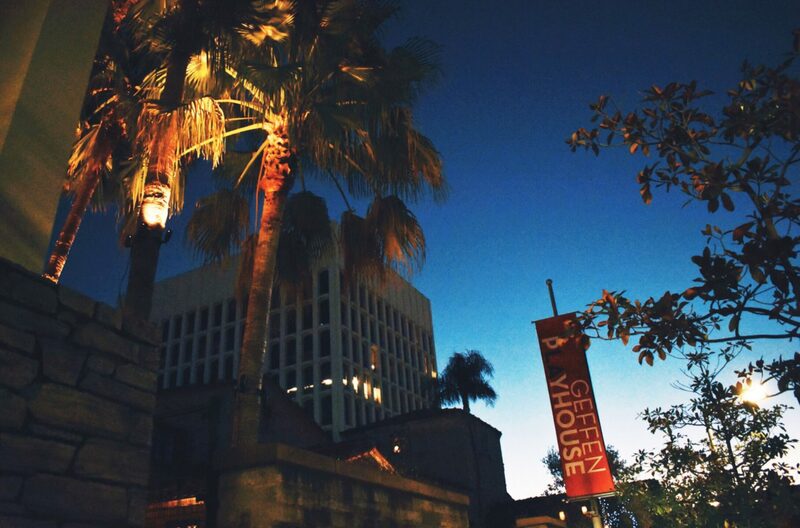 If you are looking for top notch, quality theatre make a trip to Westwood, you will not regret it. They have plenty of street parking as well as paid parking. Get there early for drinks & food. 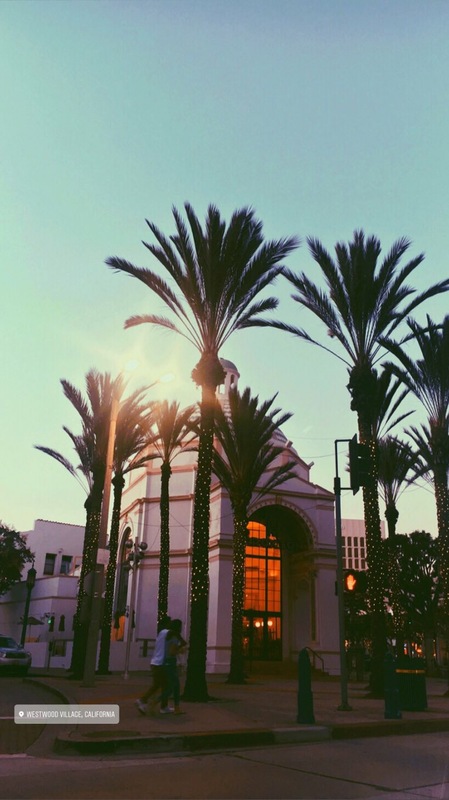 Or take some time and walk around the beautiful neighborhood of Westwood, home to UCLA. Love your writing. Great Story.